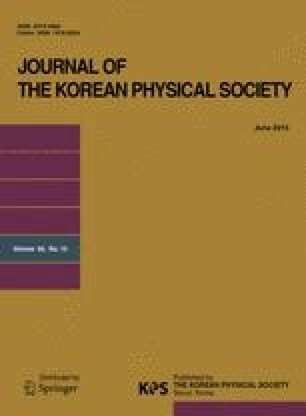 We report our investigation on the magnetic-domain structure of a Co/Pt multilayer with perpendicular magnetic anisotropy under a horizontal in-plane field by using a high-resolution scanning transmission X-ray microscope (STXM) developed at Pohang Accelerator Laboratory. The ruggedshaped striped magnetic-domain structure that was initially formed under a field cycle along the out-of-the plane magnetic easy axis was found to be stretched and elongated along the direction of the horizontal in-plane field. As the in-plane field was strengthened, the striped pattern exhibited an anisotropic domain growth with further stretching and aligning, as well as with a modification of the magnetic-domain’s width.